Apothecary Candy Buffet Jar. H-14.75", Pack of 4 Discounts Apply ! Candy buffet table, aka candy buffet bar, has become an increasingly popular trend for wedding receptions, baby showers, bridal showers, birthday parties, company holiday parties and any other parties you can think of. 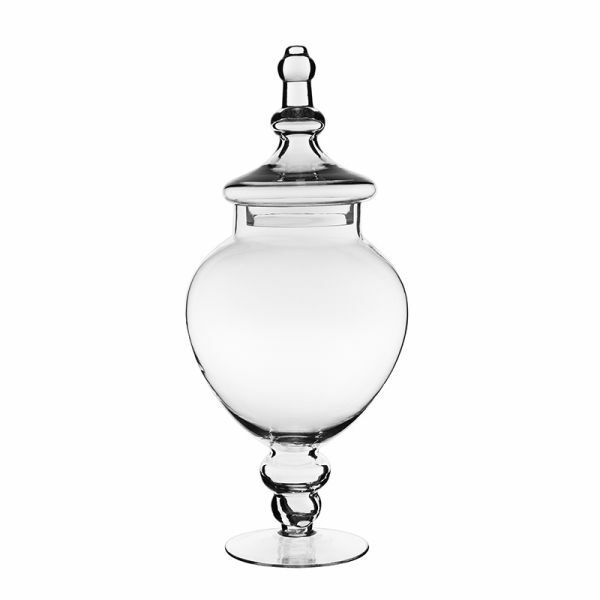 Glass and Pottery Vase carries the largest selection of apothecary jars for you to choose. Dimension: H-14.75", Open - 3.5", Body D - 6.5", Base - 5".